Are you the one who loves spending your weekend in your yard doing some lights building or general DIY projects? And if I am not wrong then drills must be your best friend? So if you are looking for an upgrade, here are some of the best drills in India for 2019 for both professional and DIY projects. 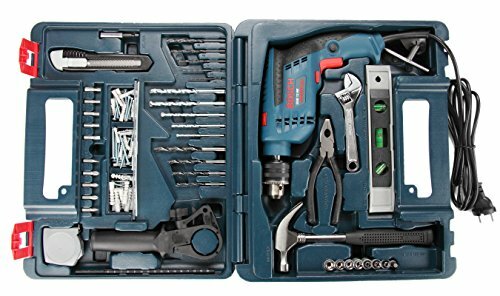 Bosch GSB 13 RE: With the ability to drill through metal, wood in mere seconds and attachments that are perfect for industrial use, the Bosch GSB is the ultimate drilling kit that is simply a must for any serious professional looking to make an investment into a tool for the future. 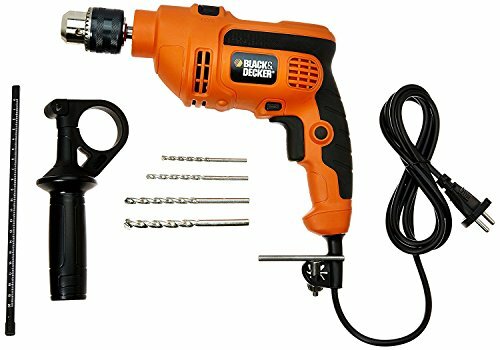 Black & Decker KR554RE: If you are just a beginner or love the occasional DIY at home, then the Black & Decker KR554RE would be the ideal buy as it comes with ample power for household use and is available for less than Rs. 2,500. Are you a professional looking for the ultimate drilling kit? Then we know exactly what you need. 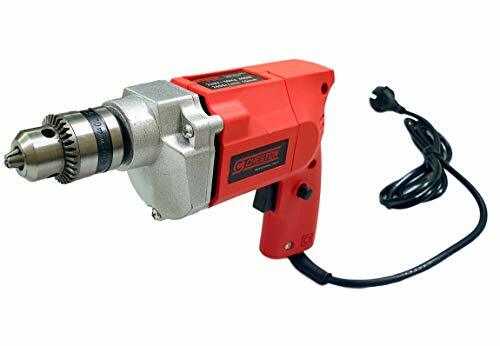 With 600W of power and a maximum rpm for 2800, its beast of drill machine can make a hole through the toughest of objects with ease (Wood, metal or even concrete, they are no match for beast). And since it has variable speed, it can rather elegantly work on some of the softer objects as well without breaking or cracking it. And you do not have to spend tons of effort and time unscrewing things either and the reversible function can do that in mere seconds for you. The kit includes all the attachments you will ever need for both home and industrial mode. There is also a hammer mode and attachment that often comes in more than handy. It is also ultralight so you can work for hours using the drill without any fatigue or your hand cramping up (weighs a mere 1.7kg). On the downsides, the drill is on the expensive side and will cost you over 5,000 but for any professional, it is a worthy investment (after, a handyman true power, lies in the versatility of his tools). The case makes it simpler to carry the drill and numerous attachments. If you do not like the hassle of wires and cords, then this battery drill is exactly the drill you have been in search of. Firstly, it is a cordless drill which means you can kiss the hassle of cords and the need for a power outlet goodbye. And with the low battery indication, you will exactly when it needs to be charged (isn’t it always awesome when there is no guesswork?). But how much does it run on a single charge? Well, enough to last you an entire day of work. Plus, it works like a charm on all sorts of surfaces as it comes with 2 different speeds. 350rpm is perfect for rubber, foam, plastic whereas, at 1400rpm, it makes light work of wood and metals. The ergonomically designed handle gives you an ideal grip to work through the woods and metal without the drill slipping (trust me you really do not want that happening). Apart from that, making it easy to work continuously with the drill for 4-5 hours or even more or hard materials in the lightweight and compact design. And lastly, thanks to the free BMC Box you get putting away and even carrying the drill from home to work along with the attachments does not get any easier or safer than this. On the downsides, the drill does not come with a reverse function so it will not be able to unscrew. It also does not as powerful as the Bosch GSB 13 RE so you do not want to use the drill on concrete. On a tight budget? Or just DIYer looking for something on the cheap that is ideal for occasional use? Either way, the KR554RE is perfect. 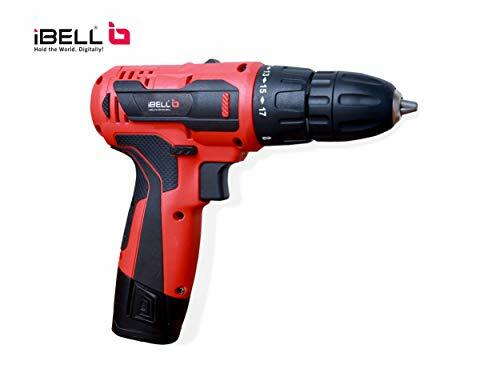 To help you with your everyday DIY woodworking or even light metal work at home, the drill has been equipped with a motor that can generate 550-watts of power and 800rpm speed. You also have the option of varying the speed between 2 settings depending on the material you are working on. Not only is the handle tailor-made for giving you a great grip but there is also a side grip which perfect for the first-time user so you never lose control of the drill even at high speeds. There is also a reverse function which means unscrewing even rusted and old bolts will only take you some seconds. It also has a lock-on option in case you need to use the drill for a longer duration. Plus, since it has a shock-proof body, you do not have to worry about short-circuiting. And lastly, just like other drills on the list, it too is quite light and weighs around 2kgs so working with it and carrying should be no problem at all. On the downsides, the drill does not work as efficiently on tougher materials or even concrete (there is no way you want to try it on that). You also do not get any attachments with the drill so I would stick to using it mainly for household purposes only. If you need something even cheaper and are willing to compromise on durability, these Chest on Drill is the ideal solution for your needs. Like most cheap drills this one too is mostly suited for any household use only. But there is one standout feature. Since it has an rpm of 2800 it can also make holes through concrete walls, metals, woods (now, that is a feature even we are impressed by). Also, considering its low price point, its durability too is commendable which is mainly because of its semi-metal construction. And you will not be needing the screwdriver for getting screws out of the walls, furniture or metal bodies as the drill is equipped with a reverse action (now get this tedious task done within seconds). Lastly, you will be working for long hours using the drill. This means it simply has to be lightweight and compact so you can hold it comfortably. Thankfully, the drill weighs under 2kgs (you want a light drill, the Chest On ensures you get exactly that). On the downsides, the low wattage curbs its benefits when it comes to complex or industrial-grade projects. The handle could have been better. Seems a little uncomfortable to hold (nothing you shouldn’t get a get hand of after the first couple of tries). Since a drill is considered one of the most powerful tools in the collection, thus, you cannot go wrong with it. That means you need to make the choice wisely and intellectually. And for that, one should always consider the given features before purchasing one for the collection. Power: Well, it’s your call whether you want a cordless drill or corded one. Power of cordless drill is measured in volts and the most powerful one starts with up to 20 volts. Whereas, home users would be satisfied with the 12-16 volt range. But don’t forget, the higher the voltage, the heavier your drill will be. And on the other side, a corded drill’s power is measured in amps. Home users should use an 8-amp corded drill. Speed: There are some drills that come with different speed options, where a lower speed is used for driving screws and higher speed for drilling holes. If you need your drill mainly for drilling hole, a 1000 rpm single speed drill will be the best choice. Clutch: This feature reacts to resistance and will help protect against driving screws and stripping screws too deep. You may not find an adjustable clutch with every type of drill but it would be great if your drill has this feature especially if you’re going to use the machine frequently. Chuck: One of the pieces of the drill where the bit is inserted is called a chuck. You’ll find different options ranging from ¼”- ½” and a ½” chuck is considered the best for heavy duty applications. Whereas, a home user can go for 3/8” chuck as they are more versatile and has the ability to use fine and heavy bits as well. Chucks are either operated with a key or they come keyless or you need to operate it with the hands. Forward/Reverse Switch: If your drill has a reverse function that means you can remove the screw. Well, it comes in handy when it is about having cabinets or furniture pieces to disassemble or occasional missing screws. Here comes the next challenge. Once you’re done with what features to look for. Now, it is the time when you need to decide what type of drill to look for. Take a look at this list of different types of drills and make the best choice. Cordless Drills: These kinds of drills run by a rechargeable battery pack and most of them run on lithium-ion batteries. They are considered the most convenient ones because you don’t have to rely on electrical service and they don’t even have a trailing cord. Cordless drills offer more power and longer run times. Usually, they are recommended to perform light-duty tasks and regular DIY around the home because of the slow-rotation speed you cannot do your heavy-duty tasks like drilling masonry. Corded Drills: These type of drills need to be plugged in the wall to operate. They have higher speed rotation and create less vibration as compared to cordless drills. They are recommended and are apt for a wider range of tasks but as not much convenient because they need to be plugged in and come with a certain length of cord. Rotary Drills: These drills are standard corded drills that come with a rotating chuck. They work the same way a standard cordless drill does but you need to connect it to a wall outlet to make them work. And as compared to a cordless drill, hammer drill or a percussion drill, they have the higher rotation speed. Mainly, they are used for light and medium duty tasks and some basic household DIYs. Percussion Drills: This one is quite similar to the rotary hammer drill. The only and main difference between both is that one cannot use the hammering action without the rotational function on the percussion drills. Generally, percussion drills are slower than rotary drill but they can be used for general DIYs. But they can be used on semi-hard materials like light concrete or limestone. And there are some high-end models that can be used on hard materials like concrete, but they produce strong vibrations and loud noise. Hand Drills: These drills are mainly used for craft works and in schools. They come handy, are small in size, and have a rotating drill bit powered by a handle on one side. When you turn the handle, the chuck and bit will also turn. One should always handle the drill vertically to attain accurate results. And the best part is, some of the drills even have breastplates so that the user can brace it against their chest. This makes the drill more stable and applies downward force. Jewelry Drills: These drills are small in size and are mainly used in making jewelry. They are quite similar to the hand drills or bow drills and are usually hand operated. You may get an electric jewelry drill where some of them are mounted on a stand and complete the vises to hold the item for drilling. They are even considered as micro drills and even the bits are very small. You can use it to drill tiny and precise holes in gems, metal, and beads. So, this was your guide to buying the best drills. Always remember that the type of tasks to be completed affects which type of drill one should choose. Get answers to all the questions and confusions and choose the best type for yourself.